Ghost towns with names like Padroni, Snyder and Hillrose can be found across pockets of Colorado’s farming country. People still live there, and while other rural towns thrive, these have become shells of their former selves, some unable to support a single business. Vacant storefronts testify to the struggles of rural economies. The causes are many. Capital-intensive technology has replaced human labor on farms and commerce has consolidated around larger towns and cities, especially along the Front Range. But the loss has been more precipitous in places that have sold their water. Crowley County is one of those places of lost water, dried soil, and tumbled economies. The Colorado Canal arrived in 1891, relatively late among irrigation conveyances. It delivered Arkansas River water to more than 50,000 acres around Ordway, the county seat, located 55 miles east of Pueblo. A few miles away, a factory at Sugar City shredded beets, but the factory closed in 1967, unable to compete with cane sugar. Farmers had other challenges, too. One by one, then in droves, they began selling water rights to Front Range water providers. When the selling ended, just 2,500 acres along the Colorado Canal remained irrigated. Dust storms followed, invasive weeds proliferated, and the natural precipitation of 11 to 12 inches a year was insufficient to sustain strong dryland agriculture. By the 1990s, Crowley County had become Colorado’s poster child for what happens when a place loses it water. As one anthropologist put it, Crowley County was the last to bloom and the first to wilt. Can Colorado’s other rural communities be prevented from wilting? 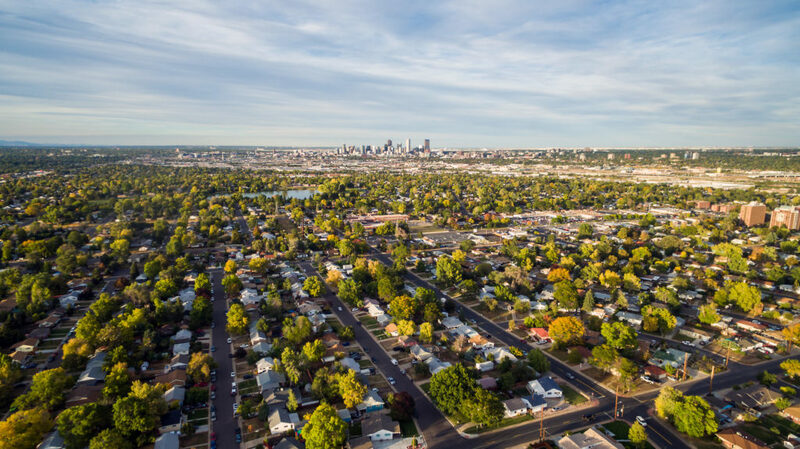 The question is urgent because Colorado continues to grow, adding 100,000 residents annually, the equivalent of one new City of Longmont a year. Most new residents live along the Front Range, home to 84 percent of Coloradans in 2015, according to state Department of Local Affairs estimates. It’s all premised on water. Fields from Middle Park to the Arkansas Valley have dried, the result of cities buying farms for their water rights, a practice called buy and dry. “A thousand acre-feet of water here, a thousand acre-feet there, and pretty soon it’s adding up to real water,” says Phil Brink of the Ag Water Network, an organization formed by the Colorado Cattlemen’s Association to keep agricultural water connected to agricultural land. Cities have gone to farms because that’s where the water is: Agriculture accounts for 86 percent of the total amount of water diverted from Colorado’s surface and groundwater sources, according to the Colorado Division of Water Resources. Perhaps new water sources can be developed, at least small amounts, without removing water from farms. But water from new projects will have the youngest, or most junior, rights, making them the most vulnerable. In severe drought years, like 2002 and 2012, owners of only the oldest, most senior water rights, and owners of junior rights with replacement water supply plans in place, got water. That’s why buy and dry remains attractive to water managers responsible for ensuring municipal water supplies as the state’s population, now at 5.5 million people, pushes toward what demographers predict will be 9 million by mid-century. Farmers tend to hold the most senior—and most secure—rights. By 2050, Colorado could lose 500,000 to 700,000 acres of currently irrigated farmland in order to meet municipal growth demands, according to the 2010 Statewide Water Supply Initiative. That could mean up to 33 percent of today’s irrigated land in the South Platte Valley would be dried up and 17 percent in the Arkansas River Valley. The mainstem of the Colorado River—from Grand County to Grand Junction—could lose 29 percent of its irrigated acreage. Can we do better? Can we grow towns and cities and also corn and hay? Yes, arguably, we can. New, innovative tools have been forged over the past several decades that seek to achieve this hydrological alchemy, where cities and farms grow side by side by sharing water, among them interruptible water supply agreements, split-season irrigation, and multiple-use decrees. The umbrella term used to describe such tools is ATMs, or alternative transfer methods. Colorado’s Water Plan, published in 2015, calls for 50,000 acre-feet of water to be identified in ATMs by 2030. Just 17,400 acre-feet of potential yield is now available through ATMs, although not all is taken in any given year, according to a 2017 Colorado Water Conservation Board (CWCB) report. The Colorado River poses a large and overlapping challenge of statewide concern. Between 450,000 and 600,000 acre-feet of Western Slope water is drawn annually through tunnels and ditches to farms and cities east of the Continental Divide. But what if that water should become unavailable because of extended drought, reduced water flows, and interstate compact commitments? That chilling possibility has driven water leaders to investigate alternative methods for water sharing and water banking to protect both agriculture and municipal use in times of drought. While Colorado’s water allocation process has become somewhat more flexible in the past 20 years because of new statutes, opinions are divided about whether more flexibility may be needed. Projects from Larimer County to Grand Junction to Rocky Ford demonstrate that Colorado is looking for solutions. The answers matter, because you never know when the next big drought will arrive. The Arkansas River Valley offers the most striking examples of both the problems of buy and dry and the tantalizing promise of innovative water sharing. The river originates near Leadville, augmented primarily by diversions that deliver water from the Fryingpan, Roaring Fork, and Eagle rivers through tunnels in the Sawatch Range. Water pauses in the Turquoise and Twin Lakes reservoirs before hurrying down toward Buena Vista. Some of it doesn’t get there. At the Otero Pumping Plant, just north of Buena Vista, a large pipe ferries water across the Mosquito Range and into the South Platte River drainage. From there, it can flow by gravity to Aurora or, with one additional push, to Colorado Springs. This infrastructure is critical to understanding how water originally destined for the Colorado River or a corn field near Rocky Ford can instead end up in Aurora or Colorado Springs. The Front Range urban corridor, where additional water is wanted most, lies almost entirely uphill and generally a long distance from most potential agricultural water sources. This sharply restricts the opportunities for downstream ATMs. But so do simple operational requirements of ditches and rivers. Water diverted at one place has an impact on water rights downstream. Water rights can be exchanged, but there are limits to this reordering. So municipalities look for ag water that is accessible. In the Lower Arkansas Valley, the existing infrastructure made buy and dry possible, but it also provides opportunities for new ATMs. Downstream from Buena Vista and stretching past Pueblo, the Arkansas has 20 major exit ramps, ditches created to deliver water to farms. Among the oldest is the Rocky Ford Ditch, which was carved into the dun-colored landscape in 1874. Old water rights like these are the most valuable to cities because, during dry times, the Arkansas generally still has enough water to satisfy such senior rights. 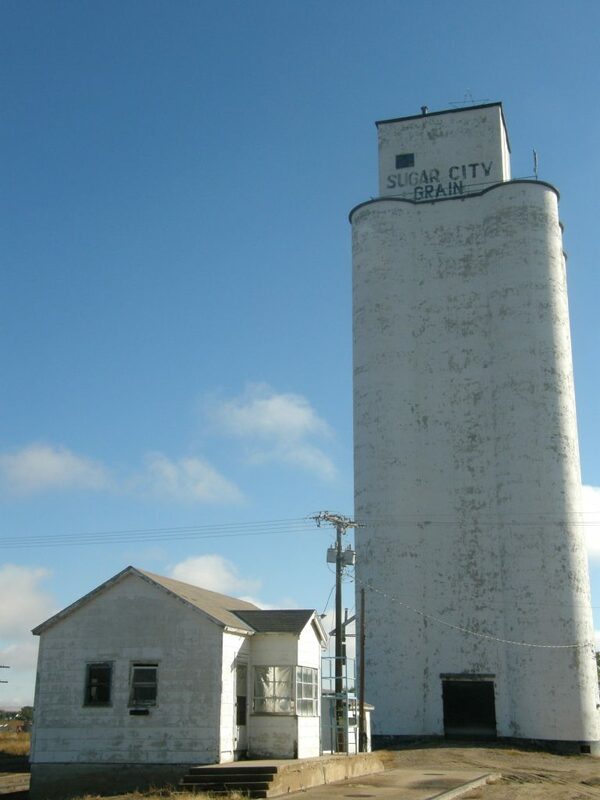 The transfer of water from farms to cities began in the 1890s, but the pace of sales quickened in the 1970s and 1980s as Aurora, Colorado Springs and Pueblo found willing sellers in farmers who were struggling because of high interest rates and low commodity prices. By 2009, municipal purchasers had bought water for more than 102,000 irrigated acres in the Arkansas Basin and more than 150,000 acre-feet of water was detached from the land, according to University of Colorado economist Chuck Howe. Not all purchased water has been taken off the land though. In the Arkansas Valley and elsewhere in Colorado, cities bought water preemptively, preparing for growth. In many cases, cities continue to lease the water they bought back to farmers until municipal demand reaches the point that the water is needed. Aurora’s investments, deep and evolving, deserve special attention. After purchasing Crowley County water in the 1970s and 1980s, Aurora bought water attached to 58 percent of the land serviced by the Rocky Ford Ditch Co. in 1989. The buy produced dry, but this time the district water court required Aurora to revegetate acreage taken out of irrigation with native grasses. Revegetation brings the land back to a healthy natural state and prevents invasive weeds from taking over. Aurora’s strict revegetation work continues today. In 2004, Aurora bought nearly all the rest of the Rocky Ford Ditch Co. water and about 2,800 acres of land, but that purchase was different than the first. By then, the city was facing fierce opposition from the late Bob Rawlings, editor of the Pueblo Chieftain, who led the public charge against buy and dry in the Arkansas Basin. Aurora tried a different tactic, a program called Continued Farming that allowed farmers to continue irrigating but with less water. Under Continued Farming, farmers sold their water rights to Aurora but kept their land and now lease some of that water back. The initial lease term was for 10 years, which was renewed for an additional 10, now expiring in 2024, though Continued Farming is expected to be an ongoing project, says Gerry Knapp, who supervises Aurora’s operations in the Lower Arkansas Valley. Aurora figures it gets about 1.26 acre-feet of water per acre while providing 0.5 acre-feet to the farmer. To reduce on-farm water inputs, the city invested up to $1,400 per acre for installation of either drip irrigation systems or center-pivot sprinklers, both requiring less water than furrow flooding. 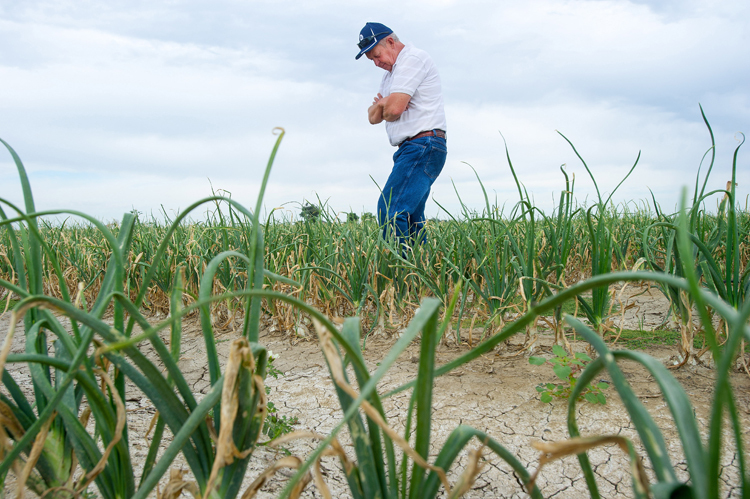 With less water available, farmers had to start planting high-value, low-water crops like melons and onions. And to make drip irrigation work with this limited amount of water, irrigators look to the Arkansas Groundwater Users Association for well water and rely on the leased water to augment their depletions. Aurora says 880 acres remain in production near Rocky Ford, out of the total 2,800 acre purchase, as a result of this higher-tech, crop-switching change. As reservoir levels dwindled to 29 percent of capacity, then a three-month supply, Aurora studied 50 alternatives. One of the most workable involved another ditch in the Rocky Ford area, the Rocky Ford High Line Canal Company. In March, utility officials went to Rocky Ford to meet with ditch members and asked them to voluntarily and temporarily lease their water to Aurora. Kemper remembers more than 200 people in the high school gymnasium. “Whether you participate is optional,” he told the crowd. When the votes were in, 80 percent of ditch-shareowners approved the terms of the deal. The leases, implemented in 2004 and 2005, directly encompassed 8,200 irrigated acres, representing 37 percent of shares in the Rocky Ford High Line Canal Company. Farmers received $649 per acre per year, or a total of $10.6 million over the two years. Aurora also bore the cost of creating a substitute water supply plan, which specified how depletions to the system would be replaced so that other water rights weren’t injured. The plan took 18 months to execute. Eventually the drought abated and Aurora filled its reservoirs. Although he works for Aurora, Knapp grew up and still lives around Rocky Ford. He sees alternative transfers as necessary. But you can still hear grumbles in coffee shops of the Arkansas Valley. The loss of water, willing or not, remains a sensitive subject. At the heart of the discontent are the empty storefronts. They’re not all attributable to buy and dry. More than anything, the efficiencies of technology may be to blame for smaller rural populations which mean fewer patrons for stores and restaurants and declining school enrollments. The cumulative changes have left small communities struggling. Rocky Ford High School had 149 graduates in 1976. Just 30 years later, it had only 41 graduates. Energy companies and farmers in northeastern Colorado have also found mutual benefit in ATMs. The newest contract, between a subsidiary of Tallgrass Energy and owners of water in the North Sterling Reservoir, was executed in May 2017. Tallgrass built an 18-inch pipeline from the reservoir to deliver up to 6,800 acre-feet annually to an oil and gas field 38 miles away near Pawnee Buttes. 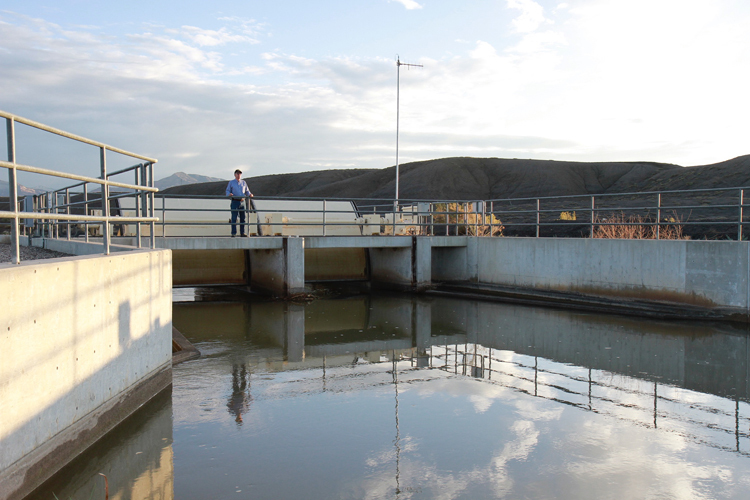 In the North Sterling Irrigation District, 98.8 percent of farmers approved the deal. Financial terms were not disclosed publicly. “This came at a really good time. Commodity prices have been down for a couple of years. So this will be a good source of additional income for our farmers,” says Jim Yahn, manager of the North Sterling Irrigation District. The water diverted to hydraulically fracture wells near Pawnee Buttes will mean some fields north of Sterling will not get irrigated—but only for a decade, the length of the contract. North Sterling had previously struck a 25-year deal with Xcel Energy in 2004. It’s best understood as an insurance policy that was triggered by the drought of 2002. Xcel worried it would have insufficient water for cooling its coal-fired power plant at Brush. And operations of the power plant cannot tolerate gaps in water supply, says Rich Belt, senior water resources analyst for Xcel. The water is needed, Belt says, because adversity on the river, such as that caused by a major forest fire, cannot be known in advance. The interruptible supply agreement forged between the two parties currently requires that North Sterling farmers be paid $40 per acre-foot, for a total of $150,000 annually, regardless of whether Xcel uses their water. If Xcel does use their water, it must pay an additional $425 per acre-foot. Both fees are tied to the Consumer Price Index so they increase over time. So far, Xcel has not needed to buy the extra water. Rising prices for water in the South Platte Valley have made farmers in the irrigation districts that he manages leerier of long-term deals, Yahn reports. He also manages Prewitt Reservoir, and prices of shares there have skyrocketed. Yahn thinks the closer water rights are to the Front Range, the less interest there will be among farmers in long-term contracts. 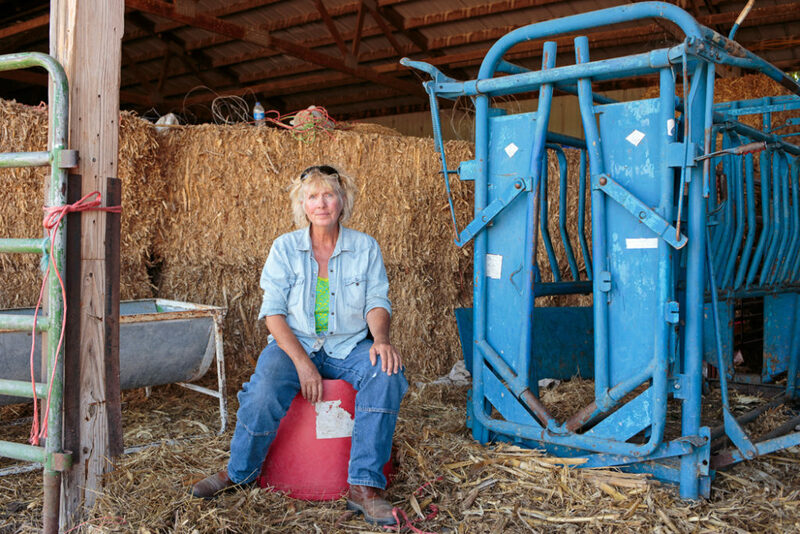 With water prices rising, farmers want to keep their options open. A good deal now might not look so handsome in a decade. In both deals involving the North Sterling Irrigation District, ATMs provide farmers with stabilizing revenue. The farmers harvest that income, as they would harvest corn or sugar beets, and in that sense the water ATMs are like those of banks. But even when sharing their water on a temporary basis, the district’s farmers retain ownership. “I see it as an alternative source of income, maximizing your income however you can on the farm,” Yahn says. Too, that income potential can provide security when seeking bank loans. The Xcel deal requires no additional storage or pipelines. The Tallgrass deal forced the energy company to install a pumping station, electrical transmission and the pipeline, but will eliminate 300,000 trips per year by water trucks. But a Denver-area water provider leasing water from the Sterling area would have to build a 150-mile-long pipeline, which would significantly increase the investment in such a deal, making it less feasible. One such law passed in 2003, allows irrigators to temporarily loan or lease their water rights for instream flows during drought emergencies. Instream flow water rights allow water to remain in a river, stream or lake to benefit the environment. 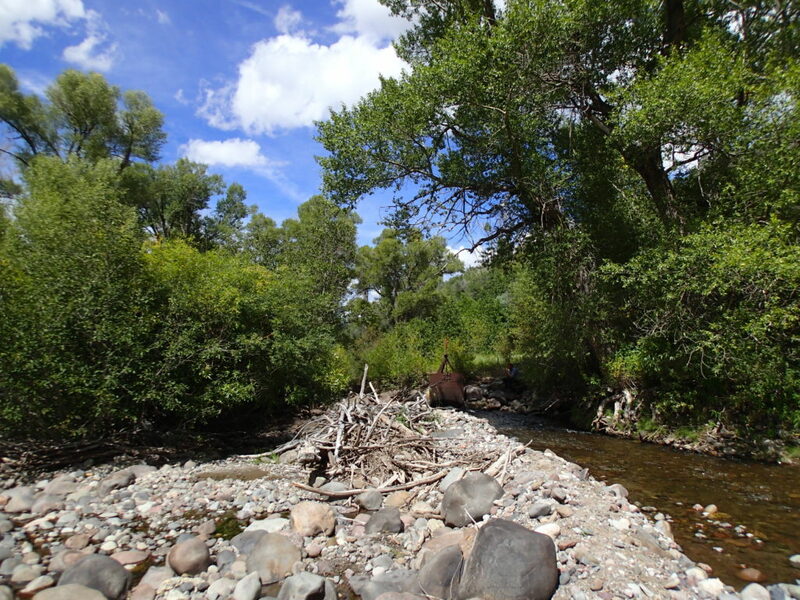 The 2003 law was pressed into service during the drought year of 2012 on the Yampa River. Winter had been dry and rivers looked sure to be barely wet by summer. The Colorado Water Trust, a nonprofit that works to restore flows to Colorado’s rivers, began soliciting water leases in late April. The Upper Yampa River Water Conservancy District responded almost immediately with an offer of water from Stagecoach Reservoir. It was a buyer-seller deal, temporary in nature and transacted fast enough under the new law to restore water to the river by early July. Only days before, Steamboat Today published a photograph that revealed a river you could walk across, cobble to cobble, without getting wet. In its 16 years, the Colorado Water Trust has put together 17 flow-restoration deals on Colorado waterways. “We are ecumenical. We work statewide and we will work with absolutely anyone who wants to work with us,” says Amy Beatie, who was executive director of the trust up until October 2017. She points to the organization’s newest deal, on the Little Cimarron River in the Gunnison Basin, as the most innovative. The Little Cimarron has been subject to seasonal dry-ups. This innovative arrangement allows water to be diverted as normal to grow hay in June and July. But instead of diverting to flood hay fields again in August and September, a time when flow levels typically drop, the water is instead left in the river. This is not a temporary, but permanent, split-season arrangement. The Colorado Water Trust owns the water rights. While hay growers use the water early in the season, the CWCB—the state agency that is legally allowed to hold instream flow water rights—uses the water to keep streams wet during dry months. The key words, says Beatie, are flexibility and innovation. In the Colorado River Basin, study of ATMs is being driven by growing concern that Colorado might need to curtail demand to meet terms of the 1922 Colorado River Compact. A compact call could occur if the upper basin states—Colorado, New Mexico, Utah and Wyoming—failed to send enough water, or an average of 7.5 million acre-feet per year over a 10-year period, to the lower basin. In Colorado, diversions affected could be all those with post-1922 water rights, which includes water users statewide. One worry, at least on the Western Slope, is that Front Range cities would be tempted to buy and dry Western Slope farms. 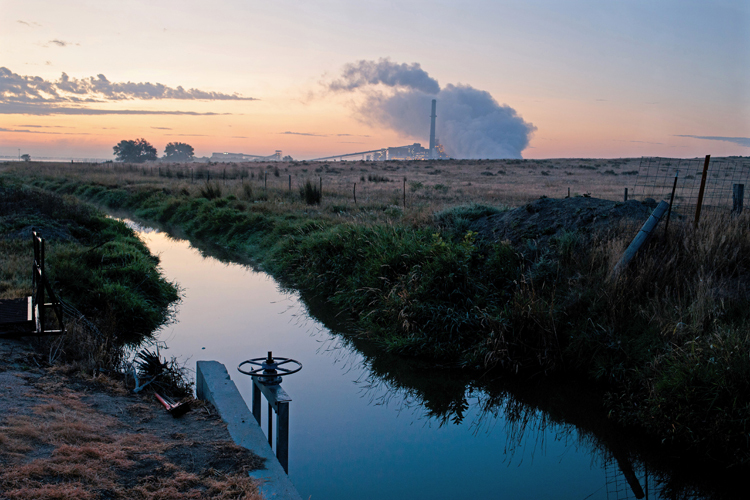 The concern has been heightened by hydrologic and climatic models, which show that climate change could permanently reduce flows throughout the basin. Colorado is not alone in this worry. Four major municipal water providers throughout the basin states—Denver Water, the Central Arizona Water Conservation District, the Metropolitan Water District of Southern California, and the Southern Nevada Water Authority—along with the U.S. Bureau of Reclamation in 2014 launched the Pilot System Conservation Program, an effort to explore how the basin states can use less water in order to ensure critical water levels are sustained in Powell and Mead, the two big reservoirs on the river. Colorado has had 11 pilot projects on the Western Slope funded through the program. Money has gone toward reducing municipal outdoor water use, but mostly the projects have involved farming: growing crops that use less water, more efficient irrigation, temporarily fallowing fields, and deficit irrigation, or using less water than normal with an expectation of reduced yields. Will irrigators be interested in participating in ATMs and other demand management programs? “There has been interest far beyond what we had expected,” says Jim Lochhead, chief executive of Denver Water. But the amounts conserved so far are minor, he says—just over 11,500 acre-feet in 2017 among the upper basin states compared to the 200,000 acre-feet, give or take, that Lochhead says might make a small difference in keeping Powell levels high enough. The upper basin altogether uses about 4.5 million acre-feet annually. Beyond stand-alone demand management efforts, a coalition of stakeholders in Colorado, the Colorado River Water Bank Work Group—including representatives from the Colorado River District, The Nature Conservancy, Tri-State Generation and Transmission, irrigators and others—is working to create a water bank, as was authorized by Colorado legislators in 2003. Water banking describes an arrangement where water rights owners voluntarily temporarily reduce their water use and are compensated. That water can be saved and used in the future, used by someone else in exchange for a fee, or managed in a way that benefits the entire basin. It is usually employed where there is significant storage capacity to facilitate water transfers. The work group has been investigating how to create a bank in the Colorado River Basin which would compensate water users willing to temporarily reduce their Colorado River water consumption so that the saved water could flow downstream toward Lake Powell. Although a West Slope water bank hasn’t yet launched, a pilot project in the Grand Junction area, funded in part by the work group and in part by the Pilot System Conservation Program, began this year with 1,250 acres of the Grand Valley Water Users Association’s (GVWUA) 24,000 irrigated acres, spread across 10 participating farms, fallowed for portions of the irrigating season. About 5 percent, or 3,200 acre-feet, of the association’s water was in the program to flow downstream toward Powell. The pilot is a way for these irrigators to prepare for and avoid a more urgent situation on the Colorado River says Mark Harris, general manager of the GVWUA. While this water banking investigation on the Colorado River is new, the state does have one bank in the Arkansas River Basin, without any transactions to date. In 2008, shareholders of six ditches between Pueblo and Lamar created the Lower Arkansas Valley Super Ditch Co. Today the Super Ditch represents seven ditch companies operating eight ditches in the region. In a pilot project on the Catlin Canal, 911 acres were selected for rotational fallowing, with 240 acres fallowed in 2015. That same year, 405 acre-feet were delivered to the Town of Fowler, City of Fountain and Security Water District. The six participating farmers were paid $1,030 per acre, they received $150 per fallowed acre, and $500 per acre-foot of water delivered. 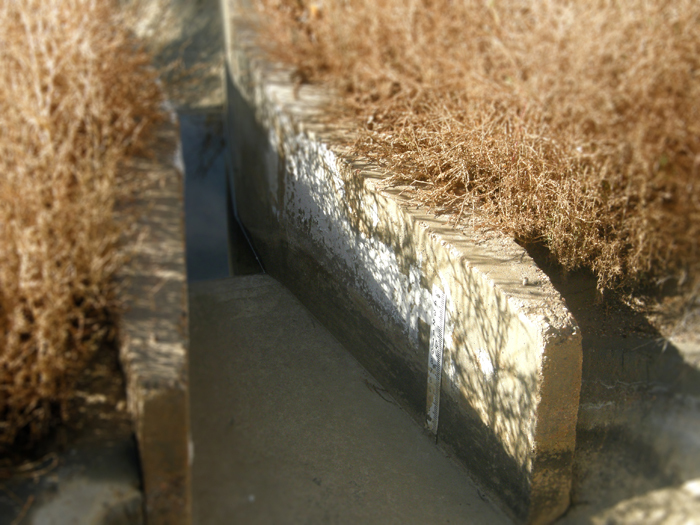 Individuals associated with the Super Ditch have been eager to proclaim it a success. “The Catlin Pilot Project demonstrates that temporary agriculture water sharing is possible in Colorado,” wrote water attorney Peter Nichols in a September 2016 article. Both east and west of the Great Divide, there’s a strong camp of water attorneys and others who have studied ATMs and see a need for lowering barriers and creating even greater flexibility in Colorado water rights administration and programs. Nichols, in his 2016 article, noted need for a “friendlier institutional and legal structure” for processing proposed water-sharing agreements. In a 2016 paper, Anne Castle and Lawrence MacDonnell, both with the University of Colorado Boulder’s Getches-Wilkinson Center, cited need for a “compelling model that allows short-term changes of water rights, evaluated and approved based on well-known and easily applied calculations, and protective of the rights of others.” At the same time, others see the system as flexible enough as is. In late summer of 2017, the existing legal system accommodated a transaction heralded as the state’s first perpetual agriculture-municipal ATM project. The transaction involves the 211-acre Malchow farm near Berthoud irrigated by both native ditch water and imported Colorado-Big Thompson Project water. The deal specifies continued farming operations into perpetuity, but a water-sharing agreement that gives Broomfield the water in three of 10 years. C-BT water does not have to go through water court for a changed use, making this an ideal demonstration project, points out Todd Doherty, president of Western Water Partnerships, an organization that works to preserve irrigated agricultural lands by facilitating water-sharing agreements. But what should be apparent by now is that no one model works for all cases. “Every situation is unique,” says Kemper of Colorado Water Congress. That’s also Harris’ observation as he talks about moving “into the age of potential scarcity” on the Colorado River. He advises patience and respect. Allen Best writes about water, energy and transportation. He is based in metropolitan Denver but grew up a block from a cornfield in the South Platte Valley. He can be found at mountaintownnews.net.